This for many of us is the busiest time of year. Hard to believe the year is ending and a new year is in sights. Where there is life there are great changes that have unfolded as we reflect back upon the year. New jobs, new businesses, new marriages, babies, homes, the list goes on and on. 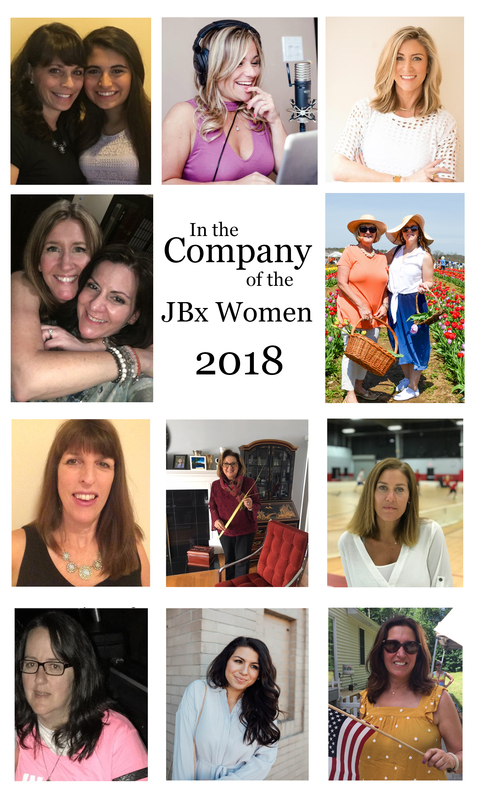 For the past 11 months we have been publishing a monthly blog series we named, "In the Company of the JBx Women". It was our way of showcasing the women in our lives by asking these woman the same 10 questions and publishing their answers along with their favorite pictures. Our brand is founded on women supporting women, we procure affordable stylish jewelry, take our own natural pictures wearing the pieces, attend women's events and charities, and pop-up everywhere. When we went into the fashion jewelry business we learned right out of the gate that our women were incredibly busy with chiidren, parents, businesses, careers, hobbies, homes, health related issues, political issues, traveling, shopping, etc. We started the series with one of my favorite CEO's, and ended the series this year with one of the strongest military wife, grandma, mother I know. Woman from many different backgrounds and we were happy to provide a platform for woman to express themselves. We asked many woman to participate in the blog but we were met with busy schedules, privacy issues, and a little bit of fear. We learned a lot from the beautiful woman that did partake in our blog series. In the year of "Me Too", The Woman's March. "Be Bold", the Supreme Court Hearing, and pay equality discussions its more important than ever that we back each other in any way we can big or small. The support we give one another varies from listening with care to each other to promoting each others endeavors. In the world of social media, a like here, a comment there, and sharing is as easy as a click and I have watched us do that for each other and lots of others. For those of you that have shared your thoughts and story we thank you for your courage and generosity. We hope to introduce more women to each other in 2019.We are honored to be able to publish more of our favorite women who continue to teach and inspire us every day.We say thank-you and let's be good to each other, we all need a kind word and a little encouragement in our busy lives. The happiest of holidays and we look forward to sharing more of you next year.